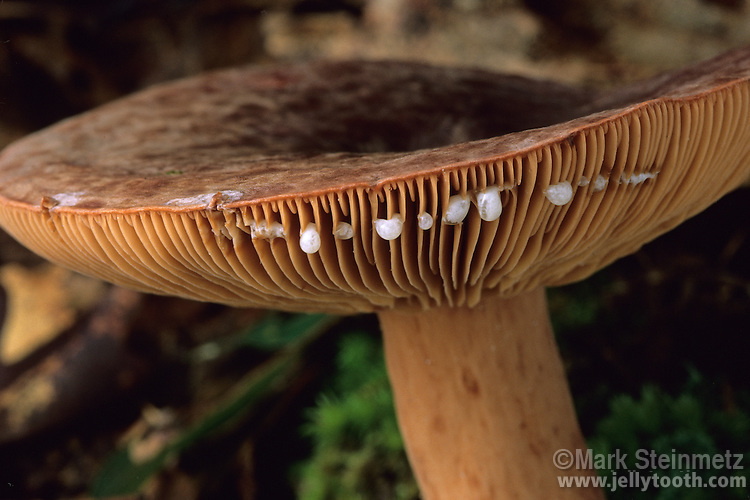 Close-up of a Lactarius mushroom (Lactarius corrugis) with sliced gills, exuding a latex, or "milk", at the point of injury, a characteristic of this genus of fungi. The amount and color of the milk is often important in identifying to the species level. Fairfield County, Ohio, USA.